Obsessed with Scrapbooking: New Obsessed with Scrapbooking App for your phone! New Obsessed with Scrapbooking App for your phone! Hey guys! 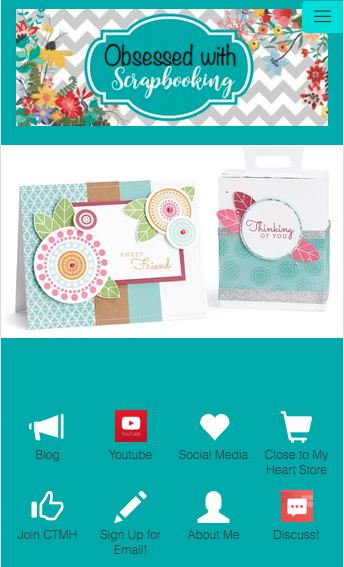 I just created a new app for you all that will bring Obsessed with Scrapbooking right to your fingertips at all times! No more searching for those videos, blog posts, etc. Everything is in one place! WHOOP! What's even better is that you can see my youtube videos from within the app - super easy to watch tutorials that way! Right now, it's over at the Apple iTunes store - just do a search under "Obsessed with Scrapbooking". I have it in for review with Google play and I'll let you know when it launches over there for all my friends with Android devices! I have some exciting things in mind for the app for those who download it so be sure to get yours! Also, be sure and click "get notifications" when it asks you so you can be up to date all the time! Please check it out and rate it in the app store! THANKS! !